That somebody collects these numbers at all, however, is already a good sign that public awareness of this problem is increasing. 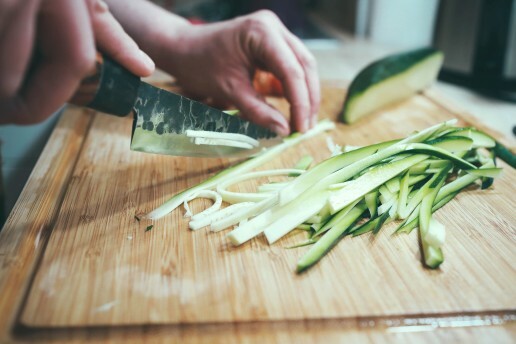 And luckily, more and more people are setting up projects to combat food waste. 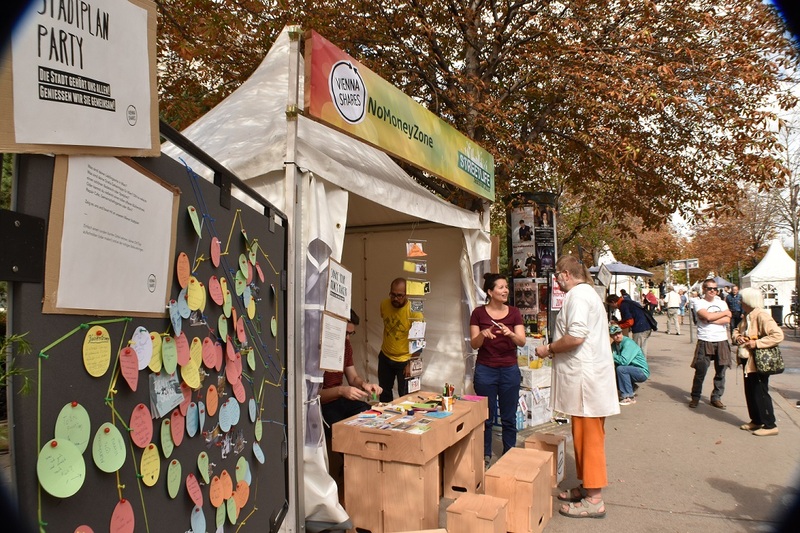 So, let’s take a look at some local Viennese projects, that make the most out of ‘waste’! Unverschwendet tackles the issue from the producer’s side of things. Lots of produce has to be thrown away by farmers – their (supermarket) buyers reject it because the shape, size or color is wrong and consumers would therefore not buy it. In other instances simple overproduction leads to a large pile of fruit or vegetables being discarded. That’s where the siblings Cornelia and Andreas Diesenreiter and their team come in. They pick up these rejects fresh from the farmers and turn them into fruit spreads, chutneys, or pickled concoctions. You can visit their stand slash production site at Schwendermarkt in Vienna’s 15th district. On their website they also offer an in-depth look at the reasons for food waste in Austria. The name “eat me!” might sound like a taunt or insult to some English native speakers. It is, however, a genuine invitation, uttered by “Iss mich!”-founders Tobias Judmaier, Sabine Schellander and Paul Streli, who are speaking on behalf of vegetables destined for the dustbin. As a chef on the TV programme wastecooking Tobias had already highlighted how much perfectly fine food is being squandered in Europe before founding “Iss mich!”. This project is a delivery service, creating fully-flegded (mainly vegetarian) meals out of ingredients that would have gone unused otherwise. It works like this: You place an order out of at least 5 dishes until Thursday and they’ll bring them to you the following Monday or Tuesday. 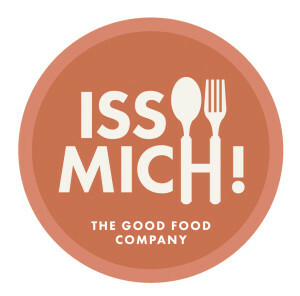 Apart from the delivery service, “Iss mich!” also does event catering. Nowadays there’s even a grocer with attached bistro in Vienna’s centre. Mmmh… fresh Austrian bread. What’s not to love? It’s my topic of choice when I want to assert our (obvious) cultural superiority over visitors from the Anglosphere. However, our insistence on having shelves stacked with fresh loaves is also incredibly wasteful, since the not-so-fresh ones are disposed of, as barely anyone buys them. Remember the 2005 documentary “We feed the world“? One much-quoted little fact from that movie was that Vienna throws away enough bread daily to feed all of Graz. Bread alone makes up around 16 % of all food waste in Austria. Vienna’s Brotpiloten (bread pilots) have started collecting loaves that are perfectly fine but still destined for the trash, in order to sell them at their market stands. You can find them at the Yppenmarkt and the Vorgartenmarkt, amongst others. Hut & Stiel (cap & stalk) walk a slightly different path to the examples above. They don’t resell perfectly fine food that would otherwise go uneaten, they repurpose something that is still mostly thought of as waste product: coffee grounds. At a university seminar founder Florian Hofer learned about the possibility of growing oyster mushrooms out of coffee grounds. Having gained some practical experience at an internship with Dutch project RotterZwam, Florian and co-founder Manuel Bornbaum turned an old Viennese basement into the production site; the first mushrooms were harvested there in May 2015. Ever since then, their business has been expanding. The coffee grounds they use as substrate are gathered from old people’s homes, coffee houses, restaurants and hotels. In turn, they deliver their mushrooms to various Viennese restaurants and shops. Those mushrooms that cannot be sold due to aesthetic issues get a second chance in a way that you’re familiar with from Unverschwendet already: they are turned into pestos, sauces and spreads. Waste reduction starts at home. The Wurmkiste (a “worm crate”) helps you reduce biological waste. How? You basically invite hundreds of house guests to take care of it for you. Said guests are worms and other little critters that live in the crate and turn your trash into humus and fertilizer that you can in turn use for your houseplants. The crate does not smell (although I’ve not yet been able to verify that in person) and in its most extravagant design also doubles as a stool – no pun intended. All-in-all a more efficient way of dealing with biological waste than having trucks drive all over town to collect it. The founders of Wurmkiste sell their crates as the finished products, but also as sets that you can assemble yourself at home. If you’re not sure how much use you can get out of the end product, you can also order some “worm hummus” on their homepage so you can try it out for yourself. All logos, of course, belong to the related company.